Why use a database to find a journal article? Allows for searching across journals and other materials arranged around related subjects and themes. Quickly search for items by subject headings or descriptors to allow for more targeted results. This short tutorial demonstrates different ways to access databases from the Libraries' Homepage. Google Scholar searches for article preprints, abstracts, books, thesis and technical reports across many subjects. It was developed to focus on science, technology and medicine, and still remains strongest in those fields. It is improving in the social sciences. If you use Google Scholar through the Libraries' website, you will get access to the feature. This makes it easy to locate full-text articles, or request the full-text through Interlibrary Loan (ILL). See Google Scholar Help for more information. What is a peer reviewed or scholarly article? It is an article written by an identifiable expert in the field, for experts in the field, that has undergone a evaluation process to ensure the quality of the research and methodology They are usually identified by certain characteristics, seen on What is a Scholarly Journal? I can't find the full text. What do I do? Use to see if the full-text is available elsewhere, or if a print copy is available. 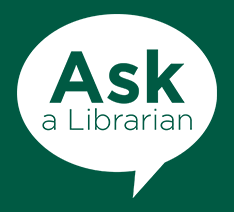 If the Libraries does not have a print or electronic copy of the article, you can request it through Interlibrary Loan (ILL). I am supposed to read a journal article on course reserves. How do I find it? Check your course on myCourses. Any items placed on course reserves will be found there. How do I find out if you have a specific journal? Do a search for the Journal Title, and not the article title. I have the citation for an article. How do I find it? The citation linker can help. Can I check out a journal? Undergraduate students can check out bound journals; graduate students can check out bound journals and current journals for limited use. See the Reader Services page for details.